Welcome to FrontierMillinery.com! Here you can explore my work, read my story, and get in touch about all things hats. 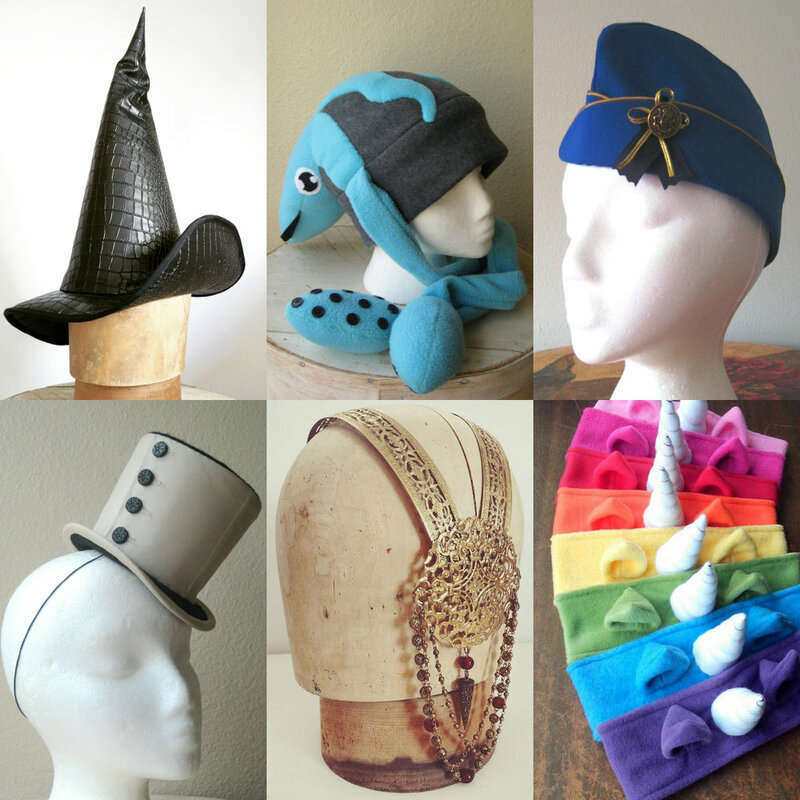 Whether you're looking for a delightful new hat for yourself, the perfect gift for a friend, a custom finishing touch for your cosplay, or to commission theatrical work, I think I have something wonderful to offer you! Shop items will be added periodically, and you can always find more of my work for sale in my Etsy store as well. Look for the Portfolio section to be updated as new projects are completed - there's always something going on here in the studio. And be sure to follow the Frontier Millinery pages on Facebook and Instagram for special behind-the-scenes peeks (and the occasional sale announcement!). Thanks for coming by - hopefully we'll collaborate on a project soon! A selection of my work. Explore more under 'Portfolio'!